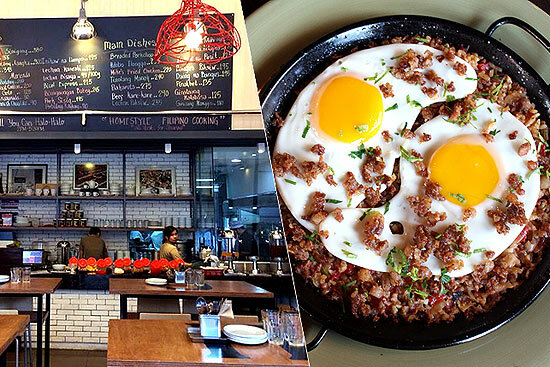 (SPOT.ph) You’re saying you’ve tried everything from Serendra to Bonifacio High Street Central? In the words of Ross Geller: "Tough noogies!" 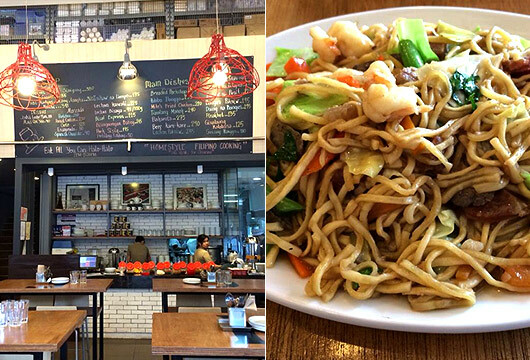 There’s more to Bonifacio Global City than that stretch-even if it is quite a long one. Whether it’s a fancy place that no one dares to try or a hole-in-the-wall that never has a queue, we’re listing not-so-obvious BGC choices just to try to shake up your Fort habit. 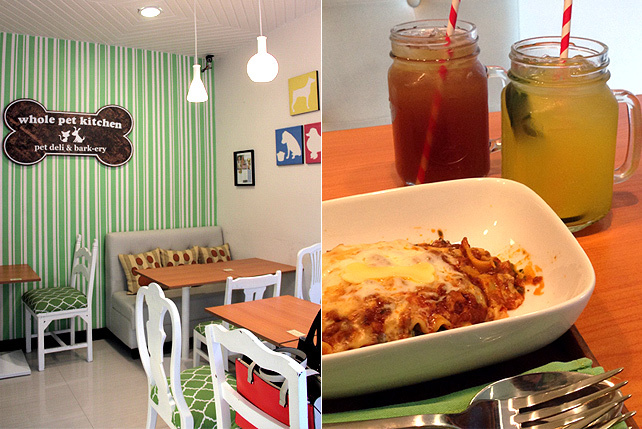 Take a break from the usual Saboten, S&R pizza, 2nd’s, Las Flores, and try something new. 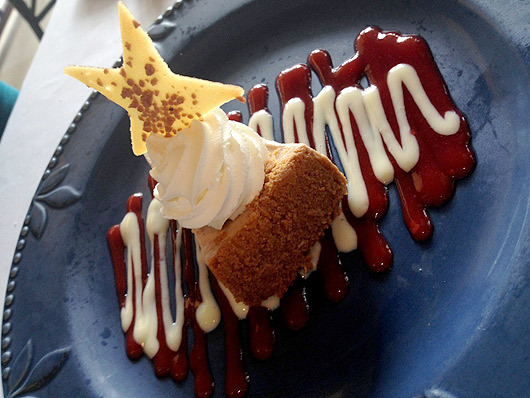 We have 10 gastronomical surprises that are waiting for you to try them. 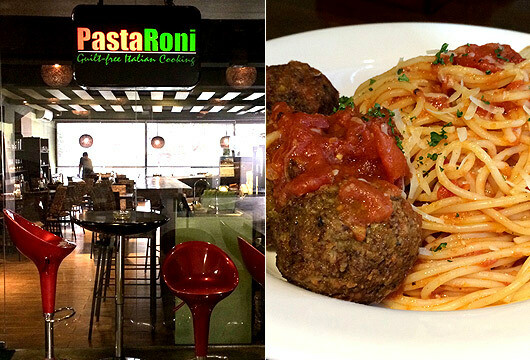 Its unassuming location makes Pasta Roni hard to find, but when you do, consider it a treasure. It used to be a small nook in BGC’s Stopover. 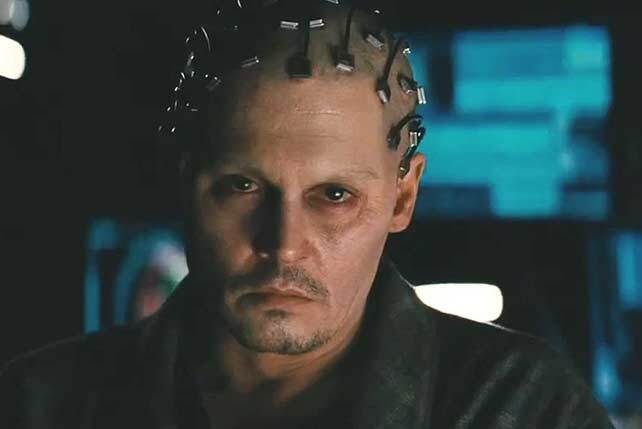 Recently, they’ve moved to a bigger location that requires you to pass through a second-level parking space. Because of this "obstacle," Pasta Roni is hardly ever full-which is unwarranted because they have a good, hearty menu, with price points perfect for lunch breaks. The pastas are satisfying and generously seasoned, and the pizzas are delicious rounds that don’t leave much room for complaints. K-Pub may be the loudest Korean dining spot in The Fort Strip, but it’s by no means the only one. Seoul Express is a modest outdoor restaurant that offers pretty good bulgogi and bibimbap. The fact that there’s no proper signage makes it practically invisible, but those who frequent the area for cocktails know that when they've had too much to drink, there’s always a reliable bowl of Seafood Ramyun waiting to cure them of their hangover. 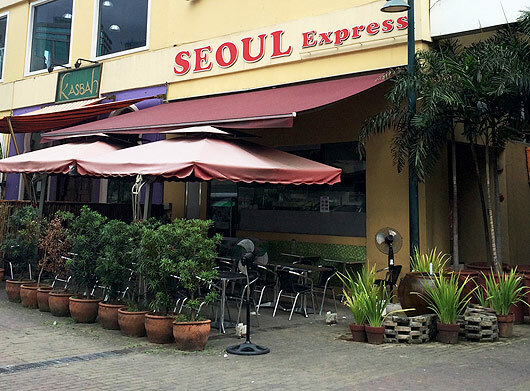 Seoul Express is also an office favorite because of its fast service and affordable prices. Sunflower details give it a shot of sunshine, but the stone-brick walls, woodwork, and black accents balance the brightness with intimacy. The combination of elements provides an ambiance that’s ideal for anyone and everything: a temporary escape for office workers who are looking for a midday breather; a romantic spot for Fridates; and a place where friends can grab a few drinks at night. Through a small door above an ever so popular and affordable Shawarma Guys, Sunshine Kitchen is often overlooked because it’s just too darn hard to pass up sisig shawarma. Compared to places like Rocket Room and Black Sheep, Harvest is a relatively peaceful place to settle-largely due to its location. It’s quiet during the day, but it turns into a more exciting pub later, catering to a modest number of regulars who choose to dine and drink in less crowded establishments in BGC. 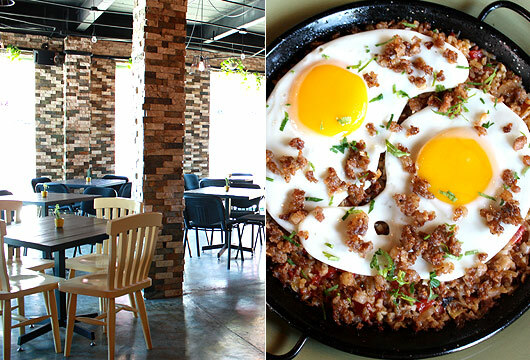 The restaurant, which exudes a minimalist-urban feel, offers a combination of cuisines-American, Italian, and Filipino. With comfort food like Fish and Chips, Mushroom and Truffle Oil Pizza, and lechon kawali, you’d always find one dish to hit the spot. And just when you feel that you’ve had too much to eat, choose from a range of international draft beers, and call it a meal. The name is the come-on because you’ll automatically assume that this is a cafeteria-type place with cafeteria prices. Er, not necessarily. 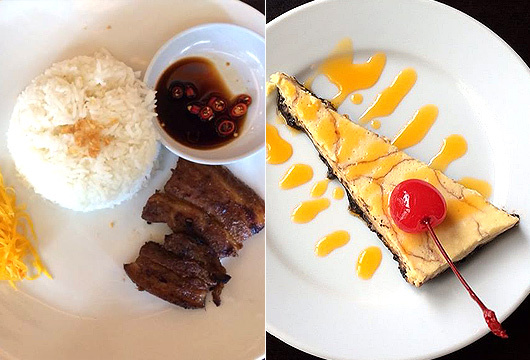 The prices are mid-range-around P200 to P400 for a complete meal, and the menu is a roster of comfort Ilonggo favorites, from lechon Bisaya to ginataang kalabasa. Kanteen is owned by the same people behind third-wave cafe Kuppa. The exteriors don’t stand out, which is probably why passersby don’t automatically translate to customers. Instead, the two-storey restaurant is regularly frequented by Singaporeans and expats who are hooked by the array of authentic Southeast Asian dishes. This place has been serving as a base for health buffs for a while now. The restaurant is so well-hidden on the second floor of Fort Pointe Building that you have to actually look for it to be able to find it. It's a huge hit among runners not only because of the food, but also because lockers are available for customers. 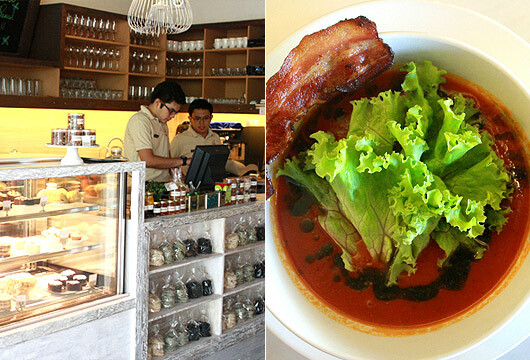 They can safely deposit their things at the café, jog around BGC, and replenish themselves with healthy meals after. 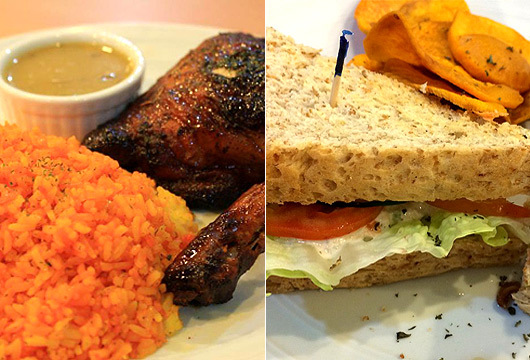 When you’re in Serendra, the last meal you’re probably after is something healthy, what with Cold Stone and Mamou in the vicinity. But this health haven is a reasonable alternative with an organic philosophy, from their wood-themed interiors and green cuisine. This quiet building is one of BGC’s newer developments, and you could probably say that all of it is underrated. 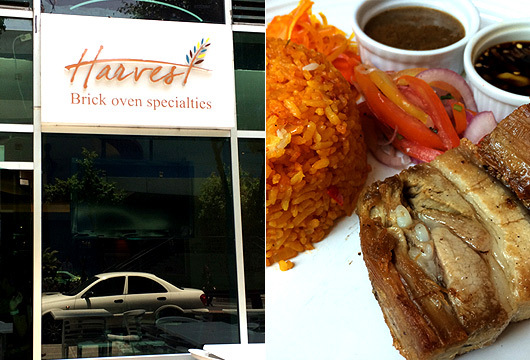 But it’s worth venturing to for Chef Aileen Anastacio’s spot-on flavors and irresistible pastries. 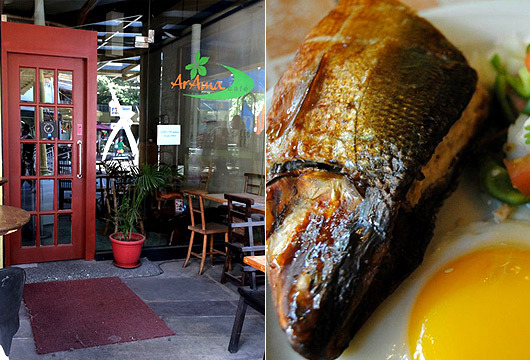 Within that shabby chic space, she wows diners not just with happy eating but also a comprehensive culinary experience. Her roster of savory Eggs Benedict and quirks on traditional dishes make Marmalade Kitchen worthwhile, but she also has a boutique that sells pastas, home scents, and seasonings. Further in, there’s a studio that hosts a variety of cooking and baking classes. There are fewer restaurant options where Champêtre, Chef Marc Aubry’s reincarnation of Je Suis Gourmand, is located. This part of Fort is bipolar in terms of restaurant choices: either you get fast food or you go gourmet. Champêtre, which means "rural" or "country" in French, falls under the latter. Outside, there are picket fences with bursts of yellow and blue to create a lovely al fresco setting. Inside, the same yellow and blue hues interspersed with vivid paintings give off a cheerful vibe. As for food, Chef Marc mixes some Je Suis Gourmand bestsellers with a new range of dishes. If you’ve been wanting to go on a gastronomic tour around France, be sure to try Champêtre’s Tour de France Gastronomic. At least you can say that your stomach’s been to 10 regions in France.